Dr. Jerrold D. Guss, Dr. Carmen Rahimi and our entire team of dental professionals love treating families at our Simi Valley dental practice. 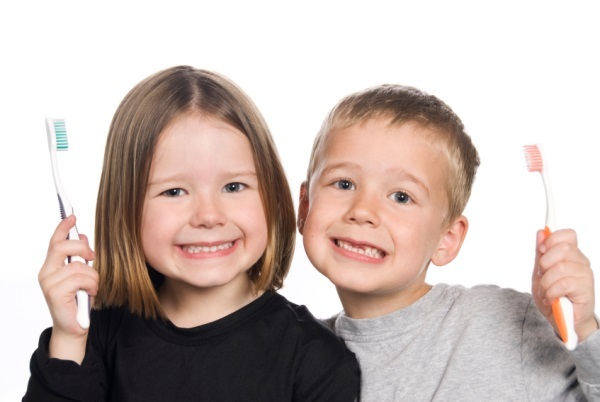 From children to seniors, we can help every member of your family achieve good dental health in a relaxed atmosphere. Every detail of our practice including our friendly staff, big windows in the operatories and short wait times is aimed at making you feel like you're visiting friends. If you’re looking for a family-friendly dental team that knows how to treat all members of your family with respect and gentle care, you’re in good hands with our Simi Valley family dentists. When you bring your children into our office, you’ll be delighted at how well our entire staff works with kids ages 2 or 3 and up. We’ll show them that there is nothing to fear about visiting the dentist, and we even offer an introductory exam so that parents and children can familiarize themselves with our office and equipment and learn about good oral health practices. Having a fun, hands-off dental experience lays the foundation for a lifetime of trust in dentists. After a good checkup, your children will receive a prize from our treasure chest. • Regular dental checkups: When you and your children see us twice a year, we are able to spot new developments early enough that they can often be reversed or treated conservatively. We also perform a professional teeth cleaning at each checkup, which removes plaque and tartar to help prevent gum disease. Adults and children can benefit from fluoride treatments to prevent decay, and children can receive dental sealants, which act as barriers to decay on their molars. • Good oral hygiene at home: Your oral health depends on flossing at least once a day and brushing at least twice a day. Your Simi Valley family dentist may additionally recommend that you use a specific type of mouth rinse. • A tooth-friendly diet: We are happy to educate our patients, especially the youngest ones, about foods that can damage tooth enamel and lead to cavities such as sugary treats, starches, sodas, sports drinks and fruit juices. • Negative impact of tobacco use: Cigarettes and other tobacco products can wreck your general health and also lead to periodontal disease, tooth loss, bone loss in the jaw and oral cancer. • The mouth-body connection: You probably already know that periodontal disease can lead to tooth loss, but it is also linked to numerous serious health problems that affect the entire body. These conditions include heart disease, diabetes and respiratory illnesses. Preventing periodontal disease can help keep you healthier overall. Our compassionate family dentists in Simi Valley, CA strive to meet the oral health needs of everyone in your family with comprehensive care. Contact us today to schedule appointments for you or your loved ones.